How can you not fall in love with this city and its food. I first became interested in Tuscan cuisine when my father gave me a cooking book he had purchased in Italy many years ago called 'La Scienza in Cucina e L'Arte di Mangiar Bene' by Pellegrino Artusi. Some of the recipes I was very familiar with as my mother cooked from this book, others I was introduced to by Emiko Davies, a very talented cook and writer who lives in southern Tuscany. 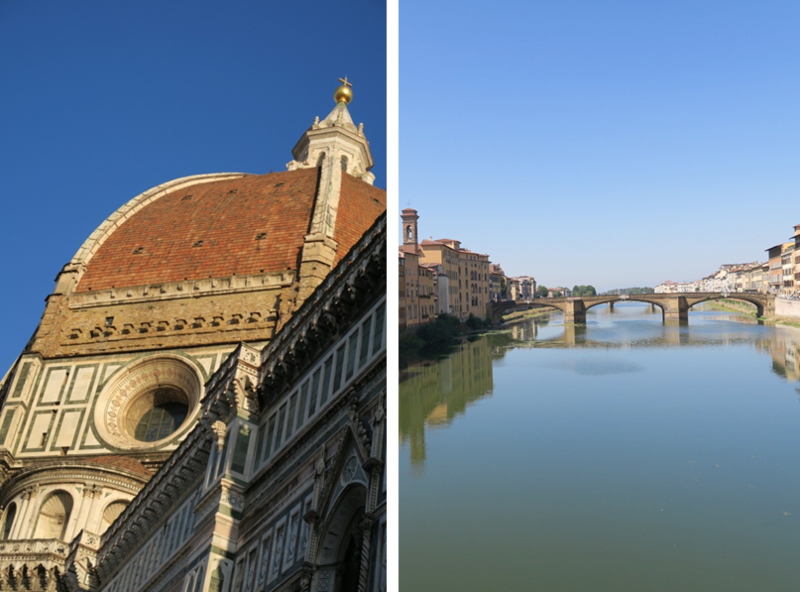 So my Florentine adventure began with high expectations and a need to experience Florence like a local as advised. 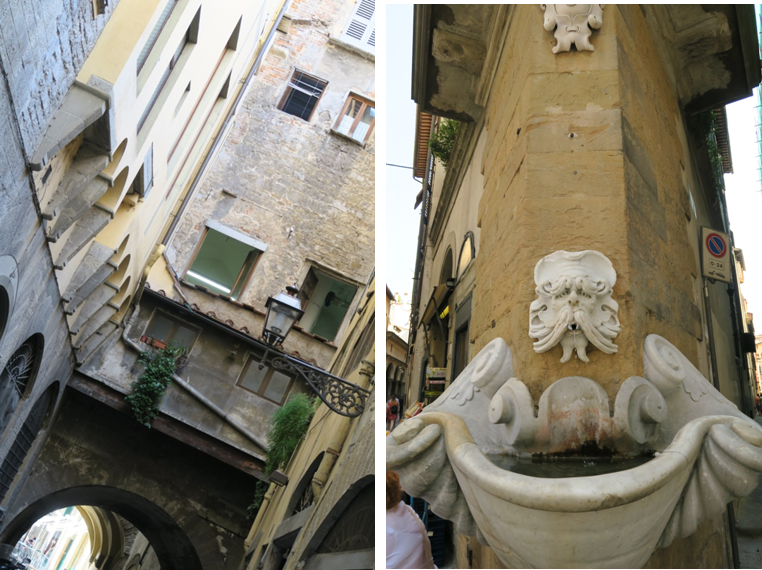 My first few days were spent visiting the 'must do' cultural attractions of the city and then I ventured out to the other side of the Arno over the Ponte Vecchio and got lost, finding myself amongst nooks that if I had followed a tourist map, I would most likely have missed. Equipped with a list of places to eat at as suggested by Emiko, I managed to visit a few, tantalise my taste buds and learn a bit more about traditional Tuscan cuisine. 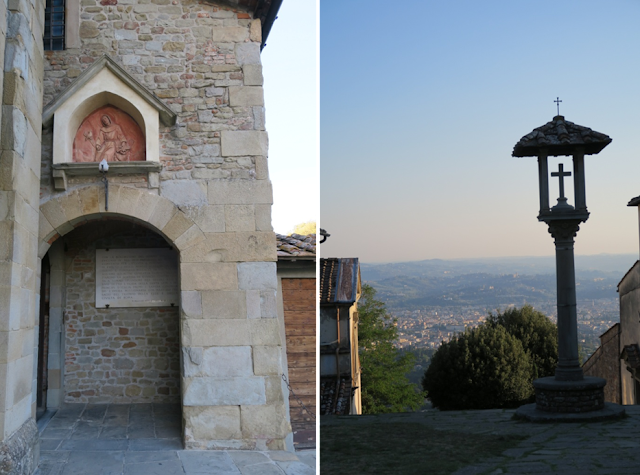 After a few days of exploring Florence, it was time to see this majestic city from the hill top and afar from a little town called Fiesole. It was also my duty to connect with a part of my fathers past. All these years little did I know that Florence had a special place in his heart. 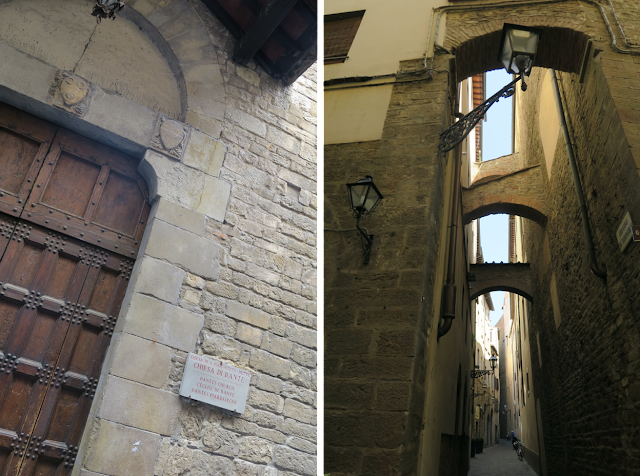 He had spent some time studying to become a missionary at L'istituto Missionario Africano located near Fiesole. My paternal grandfather was very religious, so most of his sons were encouraged to study and follow in some way the teachings of the scripture. Even my uncle was very close to becoming a priest, but fate decided otherwise. None of the siblings ended up in priest robes, but they were all well educated, acquired a love for history and the arts and developed a philosophical attitude about life. d tranquility which draws you to sit quietly, meditate and focus on this beautiful landscape. For me it was a time to reflect on what it would have been like if my father had pursued his missionary life, where would it have taken him? 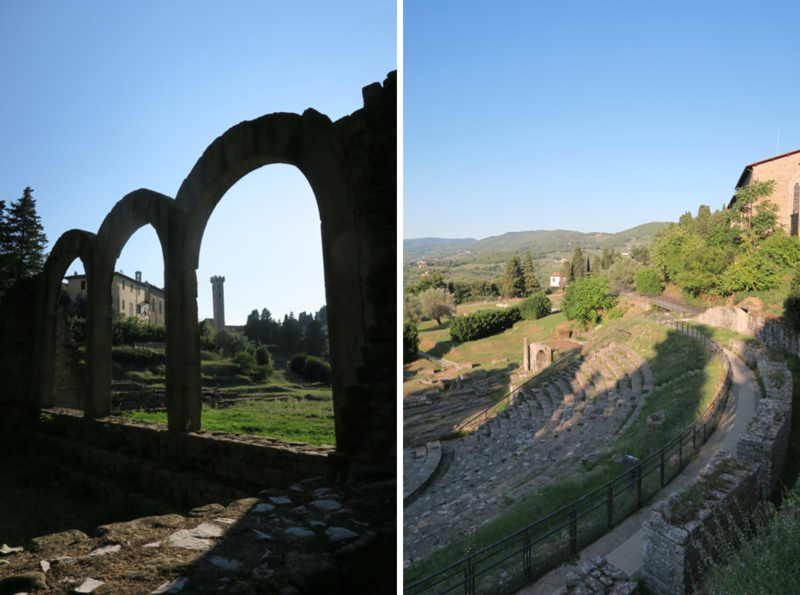 Satisfied with my visit to Fiesole, it was now time for my Conquibus experience. I had pre-booked myself in, determined to remain in the heart of Florence and while following them on instagram, I came across a short video they had posted of a woman (Claudia's mother) working with precision making what I was later told were 'Strozzapreti'... these I needed to learn how to make. Strozzapreti "priest chocker" or "priest stranglers" is hand rolled pasta, typical of Tuscany. 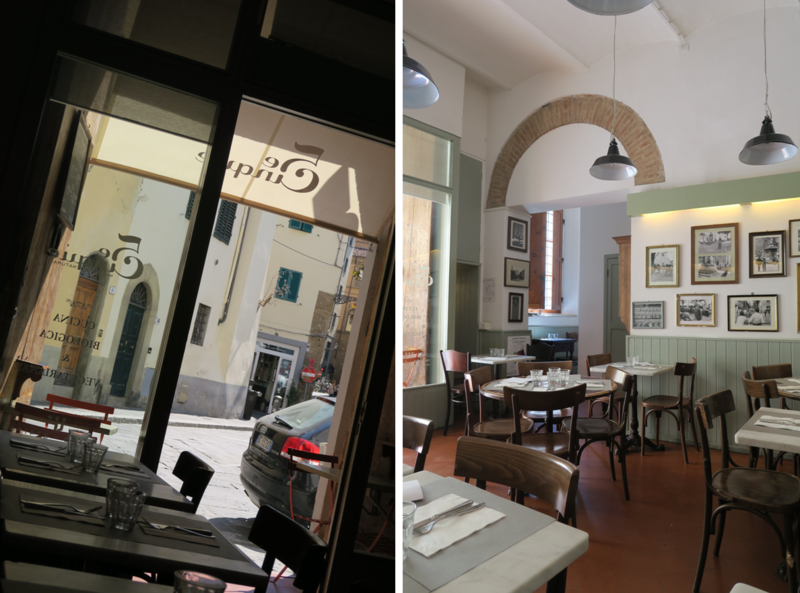 The name derived from a story told that Strozzapreti were considered so good that when invented and first served to priests, they devoured them so quickly that they choked...well so the story goes...and in keeping with the priest theme! 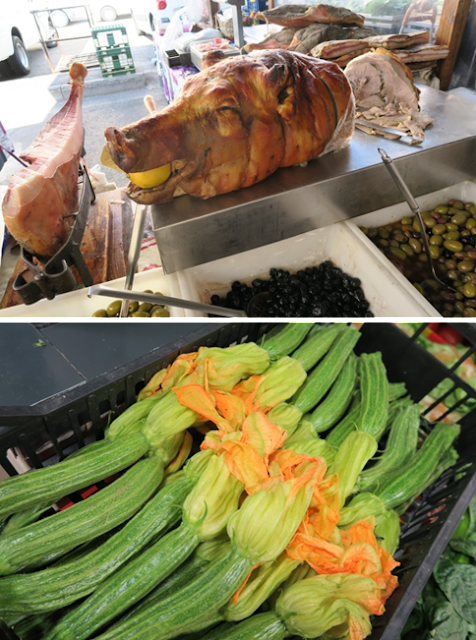 The morning began with a stroll to a local eatery for colazione (breakfast) and then to a small market - Mercato di Sant'Ambrogio, where we tasted some of the local delights like porchetta and various cheeses while Claudia began planning our lunch menu based around what was in season and my request to learn how to make Strozzapreti. 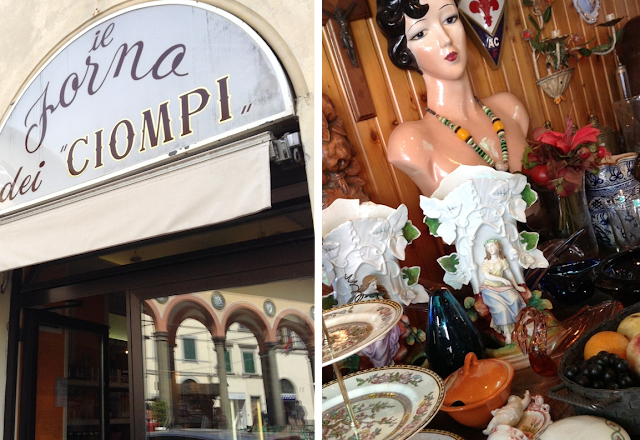 We also ventured to the artisan precincts, the flea market at Piazza dei Ciompi and was given information of where to further lose myself for the full experience in the following days. The cooking class was held in their apartment and I was quickly made to feel at home. 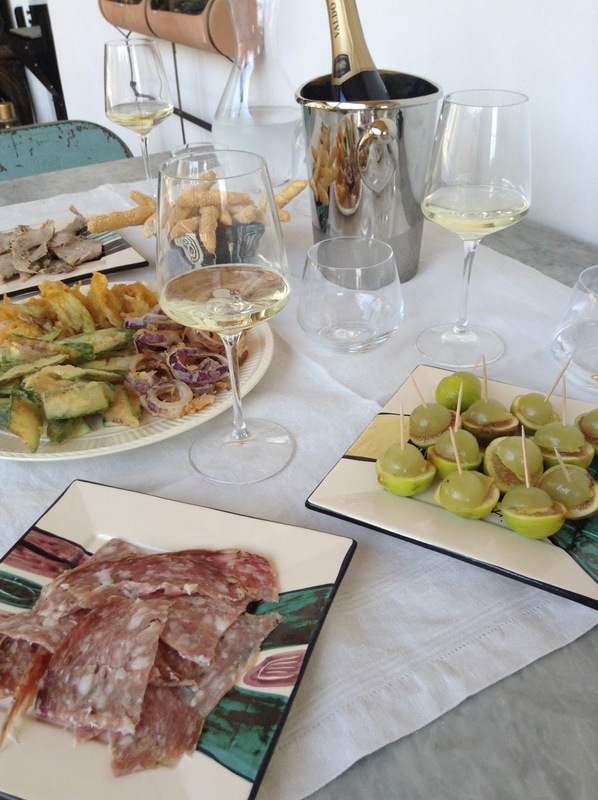 The seasonal ingredients were turned into this welcoming spread where we ate stuzzichini, drank Prosecco and I learnt about this beautiful city, what it has to offer and the local wines. Claudia and I set off preparing our lunch. 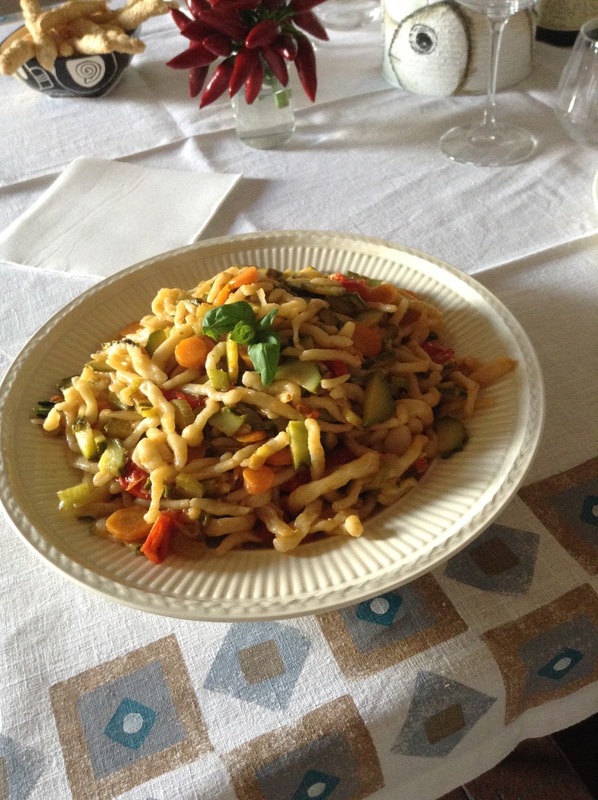 After been shown how to make Strozzapreti, I was left to complete my task, while Claudia sauted the seasonal vegetable for the sauce. The pasta dough is made with flour or semolina and water. Roll out a dough sheet to about 2mm in thickness with a rolling pin, and with a knife or rotary cutter cut strips 2cm wide. This is the fun bit, maybe best to view the video first though...start at one end and roll the strip between your palms to create a twisted piece of pasta similar to Pici. Tear off a desired length and roll the remaining noodle, again and again, tearing off pieces as you go. I made mine shorter than usual. You’ll find that the pasta will have a tighter spiral if you only roll them in one direction. Once you get the hang of it, you’ll manage to make each piece with a single pass between your palms. Mine are not as pretty as those made by an experienced hand, but I am sure they will improve over time with practice. Strozzapreti with seasonal vegetables was followed by oven baked zucchini flowers stuffed with buffalo mozzarella and anchovies. I thoroughly enjoyed this beautiful lunch with newly made friends. Claudia made the best vegan chocolate cake decorated with berries to finish the afternoon while Leonardo shared his knowledge of Tuscan wines...a drop of Vin Santo too!